Those five things, when done simultaneously, will help you to create the success that you dream of having in your writing life. Mindset is at the very top as the umbrella over everything else, because mindset is the thing that makes everything else work 10 times better. Under that we have the three Cs of being successful online: Connecting, Creating Content and Being Consistent. And all of this creates Visibility–which is when you’re out there, being seen and people know who you are. It really is. The difficult part is doing the work and keeping it up. That’s the part where most writers totally fall off (or don’t even start). Because it takes effort to live this action plan. Not to just do it here and there when you have the time, but to actually build your writing life (and writing business) around doing all five of these things every single day. 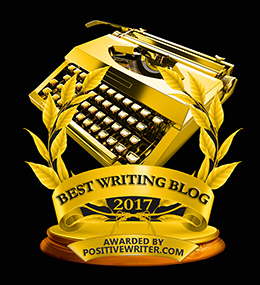 I built my writing life around these five things–I do mindset work 2-3 times a day, minimum. I connect on a regular basis with my community and with people in my industry. I blog five days a week, I write emails to my community, I create Facebook posts, I run a free Facebook group where I create videos five days a week and post valuable content, I post inspirational quotes and fun pics on my Instagram, I create and upload my videos to YouTube. I show up in some form online every single day, period. And from all of this, I’ve created visibility, where people are starting to know who I am and opportunities are starting to come to me because of it. 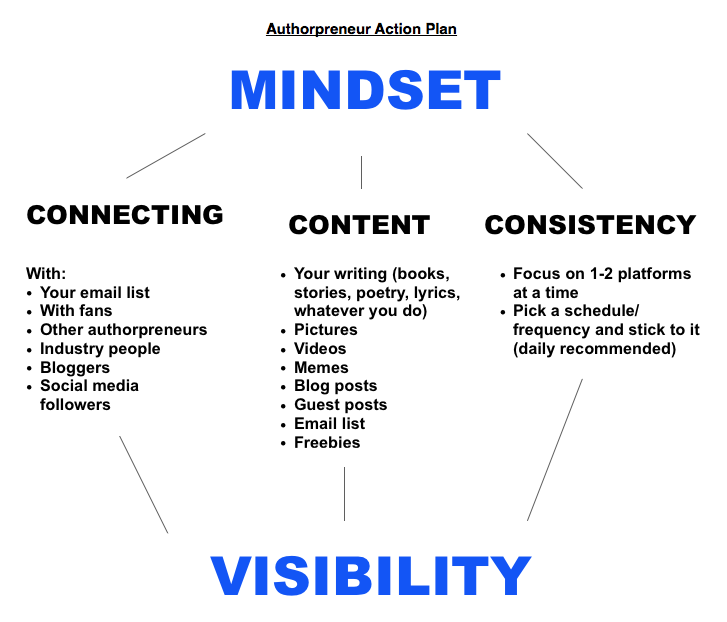 This action plan will help you create the writing life you dream of, where you’ve got raving fans ready to buy your books and whatever else you create. But while understanding this action plan seems easy, it’s in the implementation where you really see the results (or not) based on what you choose to do and how you choose to do it. You have to commit to showing up, every day, in some form, and putting something out there. You have to commit to doing the work, to not giving up when it looks like it’s not working, even if it looks like it’s not working for a while. You have to commit to thinking and acting like the writer and author you dream of being. That’s what it takes to build a following. What’s one thing you can do today to start building your following? Share in the comments. If you’re ready to show up online, build your following, create raving fans and sell more books (now or when you’re ready to), be sure to check out my upcoming GROW YOUR FOLLOWING workshop. Full details here. I’m trying to build my following by blogging more consistently. I am a poet/writer with Asperger Syndrome and have started making the problems of writers with Aspergers/autism a regular topic on my blog. And I have joined some Facebook groups for people with these conditions and am trying to participate more. @Nissa GREAT IDEA! I think it’s so important for authors to bring who they are into their brand and into their writing. It makes what they do that much more powerful. So glad you’re taking that on.